Therapeutic boarding schools and treatment centers can be life savers. Therapeutic boarding schools and residential treatment centers are programs designed to help troubled children and teenagers with their personal struggles. Anything from drug abuse to brushes with the law, these designated therapeutic facilities are divided by age and grade level. Each school offers their own unique approach on “character building” and therapy. If you’re considering sending your child over to one of these centers, then it’s important that you take the necessary steps to figure out which type of program is right for your child. Depending on what type of behavior your child has been exhibiting, it’s important that you figure out the sole cause of what he or she is conflicted with. For example, if you notice your child is skipping out on meals and is purposely not eating due to displeasure with his or her own body type, there are eating disorder assistance programs that help get them back on track to a healthy and consistent lifestyle. Programs for troubled youth are some of the more common types of programs, due to the large quantity of children misbehaving and putting themselves in bad positions. Specialty programs have been developed for individuals that suffer from a mental impairment that doesn’t allow them to control their behavior. These programs were designed to stay away from administering medications and instead focus on a more natural approach with specially-designed activities. With the proper guidance and leadership that these programs take pride in, your child will be in good hands. Wood Creek Academy is a therapeutic boarding school for boys offering wilderness therapy programs unlike a typical boot camp for teenagers. Take your child on a library adventure- Take your child out on a trip to the library and show him/her how to locate books they might like. Ask them to select a few books that might interest them. 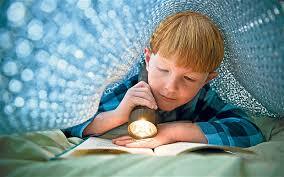 Check if the library has a kids reading club and get your child enrolled. Reading with other children, would be a great way for a child to get motivated to read and make friends at the same time. Read – Take sometime to read to your child. This could be at bed time, when everyone is relaxed. If you have small children buy a few books with colourful pictures with some text. Discuss the book – If you’re reading a book to your child ask him/her what they thought about the story, how would they change it if they could. If your child is old enough, you could even ask him/ her to write their own story and ask them to read it to you. Read more – Children learn best by example not advice. If they see you reading, they would be more likely to pick up a book and read beside you. When parents hear the words “juvenile boot camp”, the idea can be unsettling. One might imagine drill instructors screaming as children try and struggle their way through barbed wire obstacle courses. Reality is very different. The debate over how to use a boot camp for teenagers has heated up in recent years as more state governments look for methods to reduce spending on reform and discipline. It’s been shown that these boot camps are typically cheaper than the alternative of juvenile incarceration. The primary goal of wilderness therapy programs involves modifying the behavior of all participants with the goal of reducing repeat offenses. The theory is that children who learn team building in the wild will have a greater sense of self, and understand how to work with others. The cost-effectiveness of treatment is secondary to the primary goal of reducing recidivism. These camps also serve as detox centers for kids who find themselves addicted to alcohol or narcotics. The camps take them away from their usual element, where they can’t find their drug of choice, and give them positive tasks to channel their frustrations toward. Most of these schools are expressly for the purposes of correction, but some help troubled youth who can’t adjust well to their communities. Camps place an emphasis on self reliance, teamwork and cooperation. Those who leave feel better prepared to deal with others. They leave with greater confidence, and a deeper understanding of themselves. Most of these kids have also never experienced nature at that level, so camps provide a method to mentally recharge.